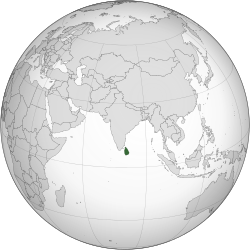 On April 21, 2019, bombings hit churches and hotels and left at least 290 people dead and 500 injured in the cities of cities of Colombo, Negombo and Batticaloa. According to officials a Sri Lankan group called National Thowheed Jamath was behind the attacks. Most of those killed were Sri Lankan nationals but there were also thirty one foreigners who died, including eight British, eight Indian, two Turkish, two Australian, one Bangladeshi, one Portuguese and four American nationals. This page was last changed on 23 April 2019, at 13:42.